View a gallery of images using the Visante™ OCT Anterior Segment Imaging system. 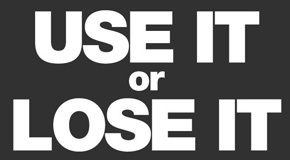 We have needed a solution for refractive patients who fail LASIK candidacy. Now patients with high degrees of myopia (-6 to -20) and those with borderline pachymetry or questionable topography have an option. STAAR Surgical, one of the most innovative cataract intraocular lens manufacturers has released the first posterior chamber phakic intraocular lens. This lens, commonly called the ICL (intraocular contact lens; implantable collamer lens) was given FDA approval in the last days of 2005. STAAR expects to launch this product in April 2006. After more than 20 years of work with STAAR, I have been chosen to perform a half dozen pre-release cases as part of their Center’s of Excellence Program. These few cases will be done without a surgeon fee*. I performed my first ICL implantation 6 years ago in the Domincan Republic. There are several advantages to a non-corneal refractive procedure including absence of dry eye, no regression or fluctuation, no flap or epithelial healing issues, and no risk of ectasia. Because this is a large optic posterior chamber lens glare, halos, and starbursts are dramatically reduced. 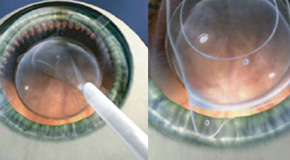 The only other phakic refractive lens has a smaller optic, is clamped to the iris, and requires a large incision. ABC's coverage is yet another powerful example of how the Visian ICL™ is enjoying greater awareness and wider acceptance among consumers each and every day. We have needed a solution for refractive patients who fail LASIK candidacy. Now patients with high degrees of myopia (-6 to -20) and those with borderline pachymetry or questionable topography have an option. STAAR Surgical, one of the most innovative cataract intraocular lens manufacturers has released the first posterior chamber phakic intraocular lens. 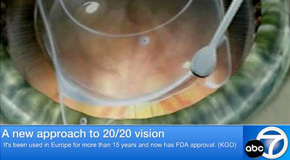 This lens, commonly called the ICL (intraocular contact lens; implantable collamer lens) was given FDA approval in the last days of 2005. STAAR expects to launch this product in April 2006. After more than 20 years of work with STAAR, I have been chosen to perform a half dozen pre-release cases as part of their Center’s of Excellence Program. These few cases will be done without a surgeon fee*. I performed my first ICL implantation 6 years ago in the Domincan Republic.